GameGO Editor is a tool aimed at making it a bit easier to manage the games.xml file for GameGO. 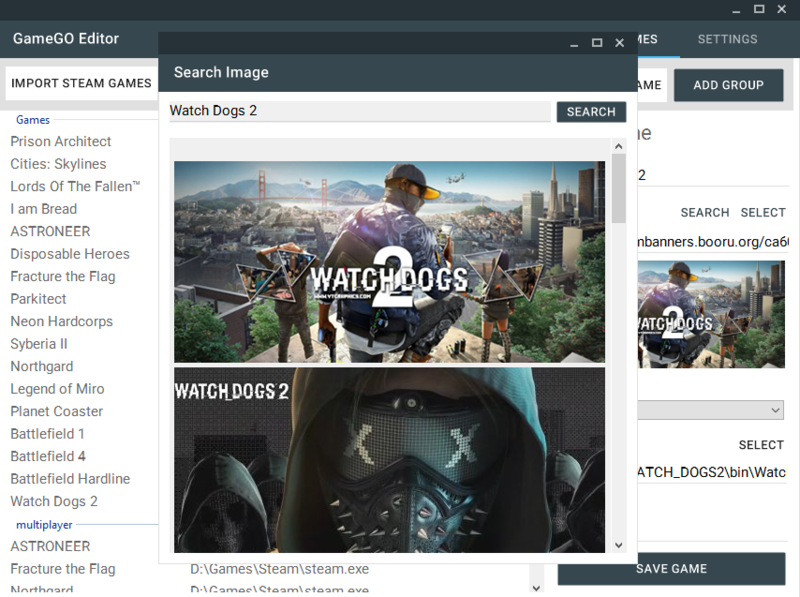 In addition to providing a way to quickly and easily modify games & categories, it also lets you search for custom banners. 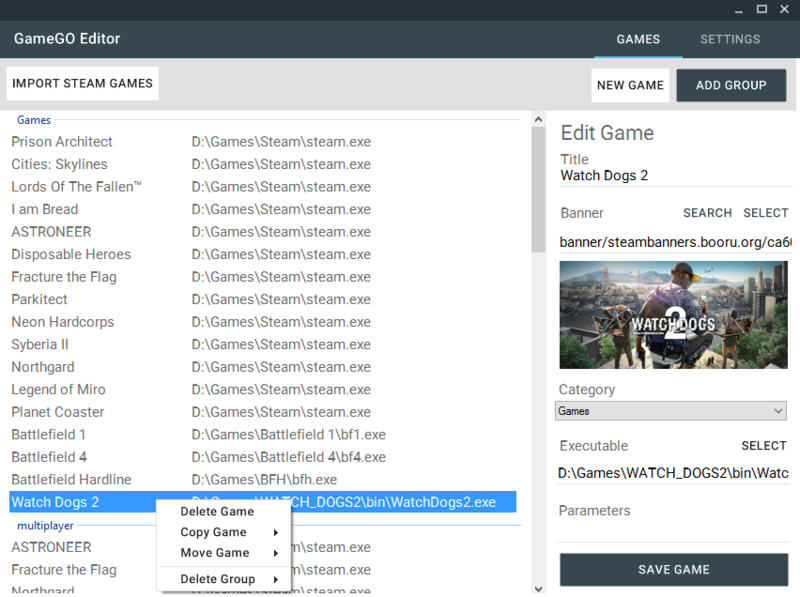 The GameGO Editor is able to import your steam libary & will try to download the corresponding banners for you. Extract the downloaded .zip into the folder where GameGO.exe is located. Here you will be able request features or report bugs!